I guarantee you this: when you get delivered, you will glorify the Lord! Right now, you may have a stack of bills on your desk that can’t be paid; but when the money comes in and you get them all paid, you will glorify the Lord! Your leg may be crooked right now; but if you will worship God and praise Him, one day your healing will come. It may take time—maybe six months, a year, two years or three years— but it will come to pass. Remember, faith doesn’t have a watch, because faith can’t tell time. You will wake up one morning, and your crooked leg will be just as normal as your other one. And when it is, you will be like that crippled man who was healed at the Gate Beautiful. (Acts 3:8.) You will throw back your cover, jump out of bed and praise God all around the house! When He delivers you, God said you would glorify His name, and you will too! Look at Luke, chapter 17. Follow me closely because you’re going to love this. Listen, if you ever ask Jesus to heal you or to give you a miracle and He tells you to go downtown and pass out tracts, don’t question Him. Go get you some tracts and go downtown as fast as you can and start passing out those tracts. I guarantee you that while you’re passing out those tracts or while you’re on your way downtown that you’ll be healed. Don’t ever question God. I don’t understand God, and neither will you. You may want to understand why before you do what He says, but God is not going to tell you anything except what to do. Don’t question God. He knows exactly what He is doing. Just obey Him. So these men decided to do what Jesus said to do. They decided to obey Him. Now read closely. Every part of the New Testament that you fail to obey, you will have to sacrifice. In 1 Samuel 15:22 He says it this way:… to obey is better than sacrifice, and to hearken than the fat of rams. as if it was so. And as they went, they were cleansed (v. 14). By the time they got to the priest, they were healed, and the priests could pronounce them clean. But they had to obey. If they hadn’t obeyed, they would have sacrificed their healing. They would have gone without even though Jesus had already provided it and told them what to do to receive it. Worship Him With a Thankful Heart Now notice closely what happens in the next verse. I hope to God that you think like this man did. When he saw what Jesus had done, he was grateful. He was so grateful that he glorified God with a loud voice. He wasn’t embarrassed. He wasn’t ashamed. He was happy. He was glad, and everyone knew it. Then he fell down on his face at Jesus’s feet and gave thanks. What was he doing? He was worshipping Him. He was praising Him. He was giving Him thanks. This man, because he was thankful, got a double dose of what Jesus had for him. Not only was he healed, but he was made whole. You see when a person got leprosy in those days, it usually ate away a person’s finger or toe or nose or ear. and it isn’t anything for him to put back in place a part that’s been missing. All you have to do is look to Him believing and giving thanks. I’ve been following the Lord for many years since He visited me one night as I was driving down the highway. I had been attending an executive board meeting in Columbus, Ohio, about two hundred miles from home. As I was driving along that night, the Spirit of God came upon me for an hour and a half! If Jesus ever rides with you in your car for an hour and a half, you will be as wild for Him as I am now! It is like being on a one-way street. You can only go in one direction, and there is no return. When the Lord Jesus Christ comes to visit you like that, you might as well forget about your executive position. You might as well forget about your business and just start following Him. beliefs about the Holy Spirit and His gifts in my life. Besides there weren’t very many Spirit-filled believers in Indianapolis in those days. I figured my whole family would be so pleased when they found out how the Lord had come to me as I was driving home that night. But when I told them about it, they didn’t go for it, and I wound up with my nine-year-old daughter just given to me to raise! After that the Lord had me and my daughter move to Cleveland, Tennessee. The Bible says, …and a little child shall lead them (Isa. 11:6). My daughter wanted to move to Cleveland, Tennessee, and I would have done anything to help her, so we moved there. It was a stormy, rainy night when I moved, and I had my little nine-year-old girl hanging onto me. We both were brokenhearted. I had a broken heart from the top of my head to the bottom of my feet, and the call of God was all over me. so often and so strong. When we got to my business office, we sat down to talk. I told him my story in detail. Then I asked him a question. them.” The pastor I was talking with was working a lot those days in the ministry of helps, reaching out to people. “But I have never heard of the ministry of helps before.” I really didn’t know what that was, but I was willing to learn. After I began to really follow the Lord, I worked seven years in the ministry of helps. I didn’t know then that God had a public ministry for me. Later on, that Pentecostal preacher invited me to come to his church and teach a Sunday school class. So I did. I was planning to leave after the class at that Pentecostal church and go back to my church for Sunday morning service, but the Spirit of God spoke to me as I was going up the steps. He said, “Stay here for this service and show respect.” So I stayed. During the service, a woman who was sitting close to me started speaking in tongues. I had never heard anything like that before, and I thought she was a mental case! But I found out after the service that she was normal. But like a man said, you start fooling around with people who have the baptism of the Holy Spirit, and it is like walking on a slippery creek bank. One of these days you will slip in! Well, eventually I did. I fooled around those Full Gospel people for a while, and it wasn’t long until I was baptized in the Holy Spirit and speaking in tongues like the rest of them. Then I started working with a group from Lee College called “Pioneers For Christ,” and I started visiting the Lee College chapel services. At the time, I owned a restaurant, and it was loaded everyday with Lee College students. That was one of my business investments that I had bought a number of years before. In those days there were no restaurants in that area, so my place became a Lee College hangout, totally packed every Friday and Saturday night. All the college kids who came in there loved me, and they invited me to chapel service. I would go there and get blessed. The group of Lee College young people that I worked with were a dedicated bunch of kids. They called themselves “Pioneers For Christ,” and they were! It means they will just go out and pioneer anything! They will make things happen where there is nothing. When I started working with them, I loved every one of them. In my entire life I had never seen such a dedication among young people. And I will never forget them. Those Lee College students were a bunch of workers. They had to work their way through school, because they weren’t overloaded with money. After they built that house, I went there one day to pray for that woman. When I walked into that little place, flies were everywhere. A little girl walked up to me with a dirty, stinking milk bottle in her hand. It looked like she hadn’t changed clothes in six months! “Mister, we don’t have no food. Our little baby only has this much milk.” She held up that stinking bottle to show me. When I looked down at her as she looked up at me and said that, the Holy Spirit inside my belly began to rise up and half choke me. I broke down and began to weep. There is so much we have to be thankful for. While the apostle Peter was on a housetop praying, he fell into a trance, saw a vision and heard a voice from heaven. (Acts 10:9-16.) God was getting Peter ready and preparing him to take the Gospel to the Gentiles. Now you can understand the ministry of helps and the depth of it. I didn’t know that God Himself had created the ministry of helps in the doctrines of the Church. There is much about the doctrines of the Church that most people don’t know anything about. My friend, when God says something and He puts a doctrine in the Church, no man has a right to take it away. So one of the doctrines of the New Testament Church is the ministry of helps. (1 Cor. 12:28.) Every church in the world that doesn’t have a ministry of helps—to train young people, to feed the poor, to help all people in need—is out of God’s will. “How do you know?” you may say. receive the things that He has put in the Church and add those things to your life. For example, it would please God if all nine of the gifts of the Spirit talked about in 1 Corinthians 12 were operating in your church as the Spirit wills. The sad part of it is that many churches in the world don’t even believe in them. Some pastors get behind the pulpit and make light of them. Some actually make fun of them. Some make fun of tongues and interpretation. I wouldn’t have that much nerve! I found out from God a long time ago that anybody who makes fun of Jesus and the Gospel and the Holy Ghost will not live his life out. You can’t make fun of anything about God, Jesus, the Bible, the Holy Ghost, and the Church or any of its doctrines. You can’t make fun of them and expect to live happily ever after. you will just seek God from your heart, with true motives. 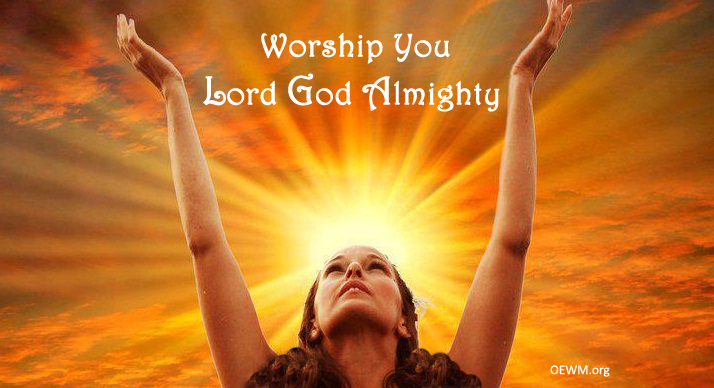 Worship and praise God first. Then pray that He will show you where He wants to use you. Be thankful for wherever He places you, and eventually He will promote you! I say, “Oh, yes, I can tell you what your ministry is.” It is knocking on doors and passing out tracts, feeding the poor, and helping the needy. “That is your ministry,” I tell them. I was satisfied with that kind of ministry for seven years. I didn’t want a public ministry. I didn’t ask for a public ministry. That wasn’t what I was looking for. If you are looking for a public ministry and nothing else, He’s not calling you. That’s you. Instead of refusing to do anything but a public ministry, be willing to do whatever God wants you to do, when He wants you to do it, where He wants you to do it, and how He wants you to do it. Just be willing. I would go, and I would go quick! And I’m not kidding. Don’t get hung up on being a great speaker. I do a lot of preaching, but I don’t get hung up on it. I receive thousands of invitations. Not only that, people are offering me plenty of money just to come and speak for one night. Only one night! These days I go to meetings all over the country, from the East Coast to the West Coast and even to foreign countries. I was in South Africa once, and I couldn’t believe it myself. Five thousand people came to the meeting, and I had never been to South Africa before in my life. There were probably about three thousand hands that went up. I couldn’t believe it! After that, I went to speak at another convention. There was a whole group of people there from Nigeria, and I had never been to Nigeria in my life. But that whole clan of Nigerian people brought me gifts. As I said, I didn’t ask God for a public ministry. I wasn’t looking for one. But because I worshipped and praised God, He promoted me. And He will do the same for you. He wants to pour His abundant blessings down from heaven onto you. Worship Him for Who He is; praise Him for what He has done. If you haven’t accepted the Lord Jesus Christ as your personal Savior, pray this prayer below and accept Him. Enter into a covenant with Him, begin to worship and praise Him and come on into the abundant life that will set you free. If He will do it for me, He will do it for you too. Forgive me for anything I have done or said that would be against Your will. Wash me clean. Let me be white as snow. Let me have a tender, sweet relationship with You. I want to know You more. Please come and be my Lord and my Savior. Let Your power melt all the world out of me, so that I can be steadfast like the Rock, Christ Jesus. I love You and worship You. Thank You for sending Your Son, Jesus, to me and to the world. According to the New Testament, Jesus wants to baptize everybody on earth with the Holy Spirit, and He wants everybody on earth to speak in other tongues. So you can base what you believe on the Scriptures, I have listed a few key passages for you to refer to. See John 14:16,17; Acts 2:1-4;16-18,32,33,38,39; Acts 8:12,14-17; Acts 9:17; Acts 19:1-3,6; Acts 10:44-46; 1 Cor. 14:2,18; John 7:37-39; Luke 11:11-13; Luke 24:49; Acts 1:8. The only responsibility of the Holy Spirit to you or anybody else is to give you the utterance like He did on the day of Pentecost, but you do the speaking. As you read this prayer, receive the baptism of the Holy Spirit by faith and begin to speak out in faith any sounds or syllables that rise up within you. I come before You now with an open heart to receive all You have for me. I have already accepted the Lord Jesus as the Lord and Savior of my life, so now I open myself to receive the power of Your Holy Spirit. May these teachings have been a blessing to you, could you share it with others that may benefit. In particular with young Christians or the ones need to live in Victory. Please feel free to include your offerings.